Busy Bees at Mardley Hill - We love the Snow! 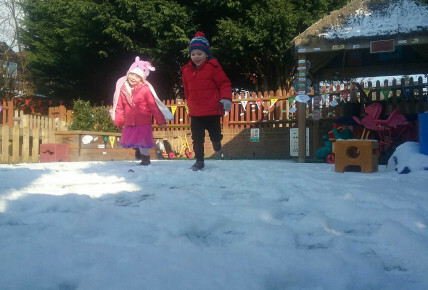 What a wonderful, wintery week we are having at nursery this week! 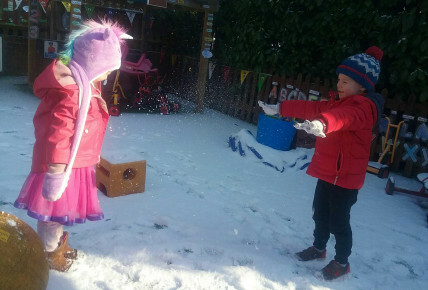 Thick, warm and waterproof clothing was worn along with our colourful Wellington boots as we ventured outside for a play in the snow. 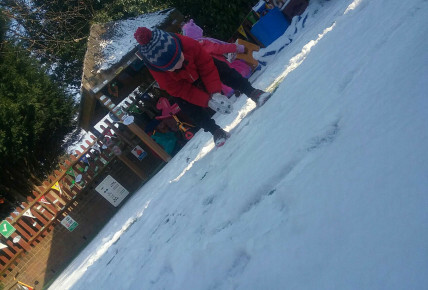 The children had such a lovely time playing with their friends and Key People as the snow fell from the pure white sky. The children returned into the warmth of their base rooms for warm milk and homemade cookies before making their very own snowflakes using various creative media. If you would like further information on the exciting events we have planned for the forthcoming months please contact Laura the Nursery Manager on: 01438 840138 and she will be very happy to help.